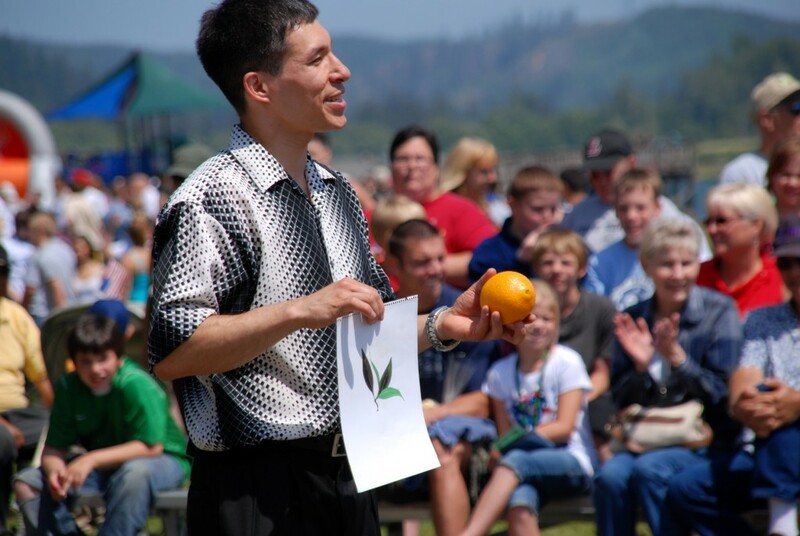 Festival magicians Jeff Evans and Rick Anderson perform for community events throughout Washington and Oregon. It’s no coincidence that each year over a hundred of their performances are for repeat clients or for people who have seen us perform. Easy to work with. Planning activities is the tip of the iceberg of your responsibilities. If it’s a hassle, you don’t want to bother with it. Count on prompt phone and e-mail communications to make booking and arranging details a snap. Photos and customized PDF posters are available to help promote our show as part of your event. Self-contained means your job is easy. Rick and Jeff both travel with their own microphone to plug into your venue’s sound system. Confidence. Festival magicians Jeff Evans and Rick Anderson each bring the experience of many thousands of live performances to your event. You receive an act that is honed to perfection over many years in nearly every situation imaginable. Finally: entertainment for your fair or festival that makes the whole family want to be in the same place at the same time! Performances are available in two flavors: strolling magic and interactive stage magic shows. 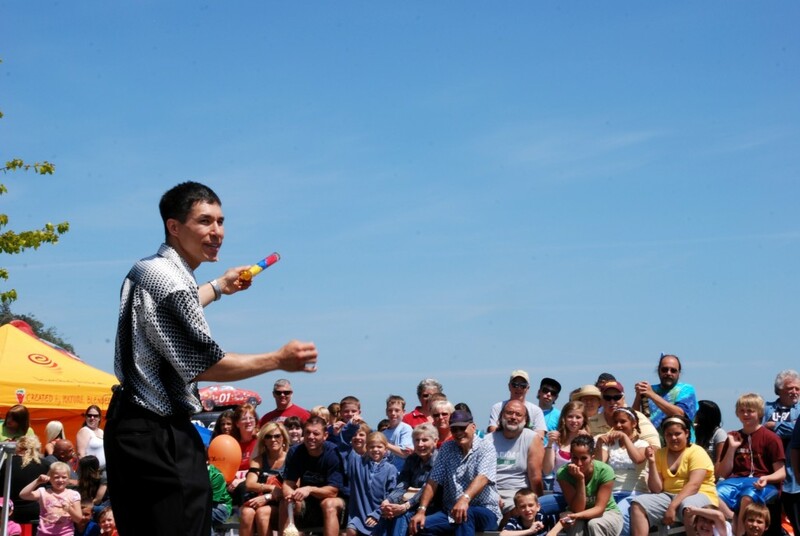 Strolling Magic is close-up magic where Jeff or Rick travels from group-to-group entertaining. It’s almost as though each person gets their own show! There is a lot of interaction, including magic that happens in the hands of your festival-goers. Strolling magic is a great icebreaker as people are socializing and mingling. The Stage Magic Show is full of audience interaction, clean comedy, and incredible magic. It’s the show that makes the whole family want to be in the same place at the same time. Your job will be super-easy. Your performer travels with his own tables, professional wireless microphone, and, if required, show music to plug into your sound system. Photos are available free to add to fliers, posters, and programs to promote the special entertainment. Jeff’s and Rick’s performances are all backed by their 100% Money-Back Satisfaction Guarantee. Simply put, if you’re not completely thrilled with their show, you pay what you feel it is worth. Don’t worry- no one has had to take them up on this offer! Here are a few comments from performances at festivals and events. 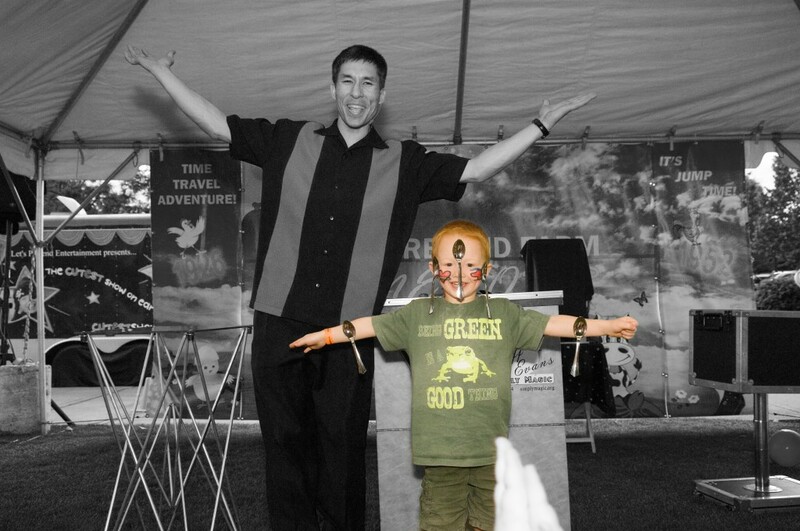 Please contact us for rates and availability to add amazing magic to your fair or festival.